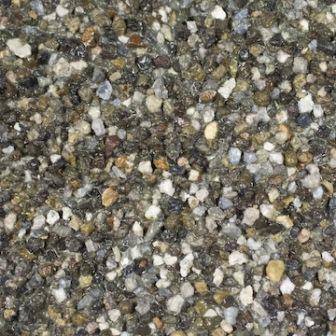 Resin and Aggregate Paving Prices. Online paving quotes. 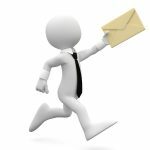 We can provide you with competitive resin and aggregate paving quotations from a database of authorised paving installation companies around the UK. 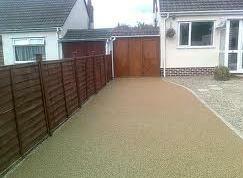 If you are looking to renew your driveway, footpath, patio or playground with Resin and Aggregate Paving, this service is completely FREE. 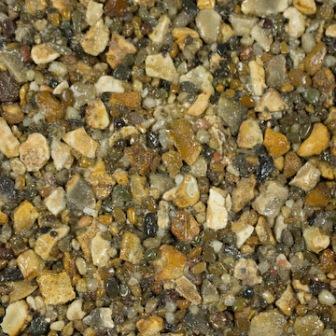 Resin and aggregate paving uses naturally coloured aggregate which does not fade in the sun’s ultra violet light. It is relatively low maintenance and is resistant to weed growth and staining from oil spillages. 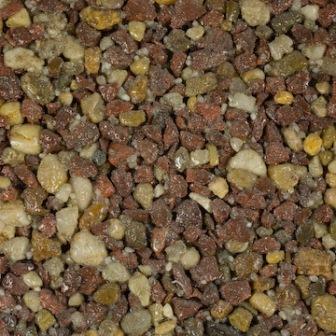 Resin and aggregate paving provides better skid resistance than many other types of paving, even when wet. 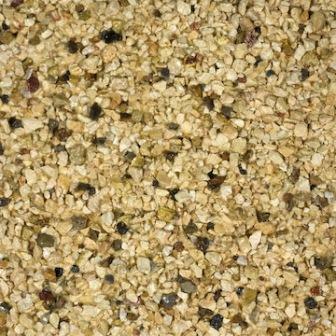 It has the attractive appearance of loose gravel without many of the problems such as gravel migration and is therefore ideal for non-slip, domestic paving. 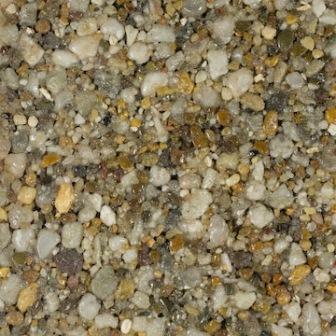 There are two types of Resin and Aggregate Paving: Resin Bonded Paving and Resin Bound Paving. 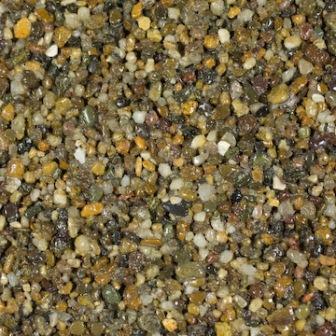 With both types, natural stone aggregate is bonded to your existing paving using epoxy or polymer resin. Although they differ in application, they both have a very wide range of coloured finishes but they need to be installed on an existing firm paved surface such as tarmac or concrete. Resin bonded paving is installed by applying a tacky coat of resin to your existing paving and scattering loose coloured aggregate onto the surface. 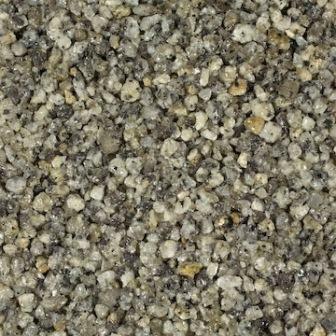 The aggregate layer is approximately 3 – 6 mm thick and bonds to the resin hence the name resin bonded aggregate. Once the resin has hardened any loose aggregate is brushed from the surface before it is sealed with an ultra violet resistant protective coating. 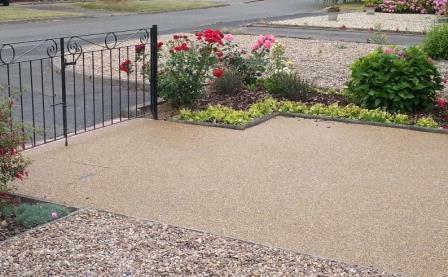 Resin Bound Paving is installed by applying a ready-mixed preparation of aggregate and resin on to existing paving and using a trowel to level it. 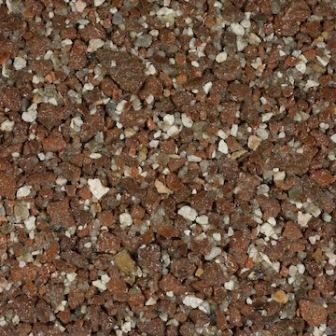 The coloured aggregate is already ‘bound in’ the resin prior to application, hence resin bound paving. Resin bound aggregate paving is just as decorative as resin bonded aggregate but it satisfies Sustainable Urban Drainage Systems Regulations. 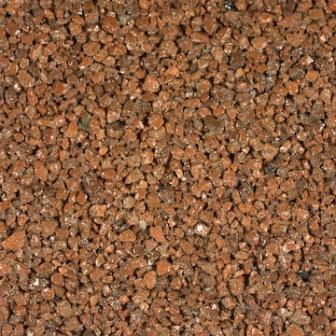 This is because the open structure of the aggregate provides a permeable paving surface. 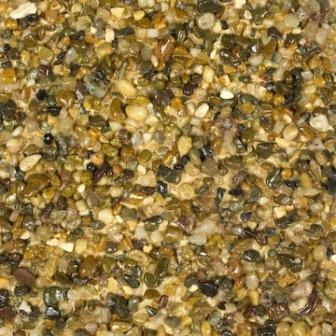 Resin bound aggregate paving is applied to existing firm paving in a layer up to 18 mm thick which makes it excellent for domestic driveways and patios as well as some commercial applications. Because resin and aggregate paving is applied in a relatively thin layer compared to other types of paving, in both forms it relies on a firm and level sub-base such as tarmac or concrete. It cannot be installed on block paving, flag stones, natural stone paving or concrete and tarmac which has structural cracks or pot holes. If the sub-base is unsuitable for resin and aggregate paving, cracks will appear in the surface and parts of it may sink. 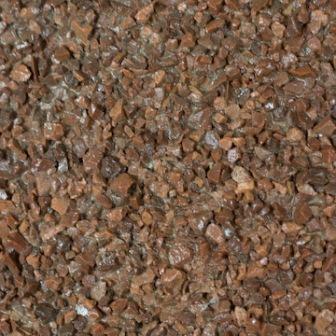 Wide choice of naturally coloured aggregates available to provide decorative paving surfaces. 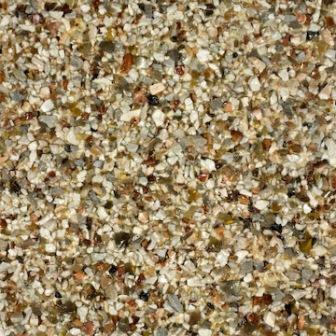 Blends of naturally and specially coloured aggregates provide unlimited colour combinations. Excellent skid resistance makes it suitable for domestic and commercial paving. Can be applied in sections to produce corporate logos in brand colours. It is a fairly economical way of creating decorative paving as long as your existing driveway surface is suitable. Requires an existing firm sub-base free of cracks and pot holes which can make brand new surfaces quite expensive. This is because tarmac or concrete has to be laid first. 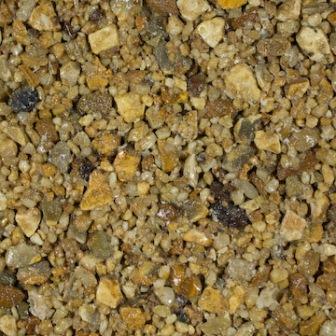 It is possible to cut corners on the amount of resin used (which means the aggregate is not properly bonded to the existing surface) and the amount of aggregate used (which means that you will have a patchy, uneven surface). 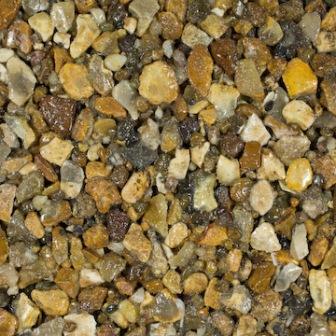 Many of the problems associated with the disadvantages of resin and aggregate driveways and patios are down to poor workmanship and not normally the product itself.